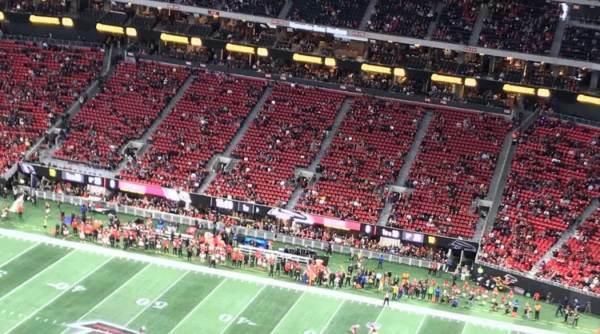 Empty seats galore in week 15 of the NFL season. Regular season of the NFL is winding down and the stadiums were plagued with thousands of empty seats. How about those Bengals, Cincinnati? OUCH! The NFL playoffs are right around the corner and there doesn’t seem to be the excitement for the sport like there was years ago. The Super Bowl is even struggling to find performers for its half time show. “Who would have thought that the Super Bowl Halftime show, an American institution watched by more than 100 million people, would become the least wanted gig in music? ” Variety wrote. Americans watch sports to escape the daily stresses of life and work; we don’t want to watch spoiled millionaire SJWs protesting the American flag and disrespecting our Veterans.